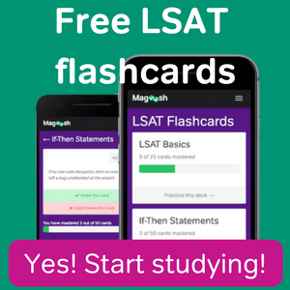 Sign up or log in to Magoosh LSAT Prep. What is a Loan Repayment Assistance Program? We all know that law school comes with a heavy financial cost – and many law students figure this cost into their career choices after graduating. It can be tough to choose pro bono work (even when that’s where your interest lies) when you’re facing what feels like a staggering amount of student debt. But did you know that you have public interest options outside of big law, even when law school loans are part of your post-law school picture? If you’re considering a law career in public service, the Loan Repayment Assistance Program can help. What is a Loan Repayment Assistance Program (LRAP)? An LRAP helps mitigate the financial restrictions of student loan repayments for law school graduates who practice public interest law. Data shows that the average amount of debt for students from top law schools clocks in at above $100,000. Given that entry-level lawyers working in public interest earn a median salary that’s less than half of that amount, many top law schools offer LRAPs to financially enable students to enter low-paying career choices. What is the repayment term for an LRAP? LRAPS often follow the standard repayment term for loans (generally 10 years); however, some schools calculate loan repayment assistance on a longer repayment term, such as 15 years. Be cautious of longer repayment terms, which can decrease the benefits of an LRAP. How does LRAP vary among law schools? LRAPs vary from school to school. Typically, schools will provide awards based on LRAP recipients’ income and debt obligation. Some schools are more generous with their LRAPs than others. For example, Harvard’s Low Income Protection Program (LIPP) has among the broadest job coverage of all LRAPS, covering nonprofit, government, and academic jobs, whether law-related or not. Harvard’s LIPP also covers law-related private sector jobs, like small firm jobs. Some LRAPs have maximum salary caps; others determine eligibility based on need-based borrowing rather than salary. Note that schools can have vastly different maximum salary caps. The University of Chicago Law School’s cap is $80,000, while Lewis & Clark Law School’s cap is $45,000. Schools also set different policies for eligibility periods. It is up to the individual schools to decide whether to cover allowances for dependents, or adjust award amounts based on household income and assets. Because no two LRAPs are exactly the same, you should always reach out to the financial aid office of your respective school to determine how much support their loan repayment assistance program provides. What if I leave public interest? Some programs require that you repay all or some LRAP benefits unless you remain in public service (or other low-paying positions) for the full repayment term. Thus, it’s important that you think carefully about whether you’re applying for LRAP for the right reasons. LRAP is a great help for students who are truly interested in low-paid fields, but if you enter LRAP, you will most likely be making a 10-year commitment to this kind of work. Interested in learning more about two schools that are known for their generous LRAP programs? Check out Stanford Law School and Harvard Law School. Check out three schools known for their strong commitment to pro bono work: Fordham Law School, John Marshall Law School, and Loyola Law School. How Long is Law School? Catherine supports Magoosh’s future grad school students by unlocking tricks of the test prep and application trade. She specializes in the LSAT, but also brings her experience in test prep and higher ed admissions to Magoosh students. Catherine spends her free time checking out local farmer’s markets, reading food and lifestyle blogs, and watching Bravo. She is forever in search of the best Mexican and Italian food in any given city. Should I Join a Law Journal? Taking the March LSAT? Here’s What You Need to Know. How Many Times Is the LSAT Offered Every Year? 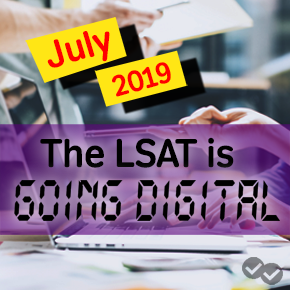 © 2019 Magoosh LSAT Blog. All Rights Reserved.